When you think about it, the Doctor is a bit like a cat. He turns up where you least expect him. He has mysterious adventures out of sight of the human race. He always lands on his feet — eventually. And you suspect he can size you up with a single look. 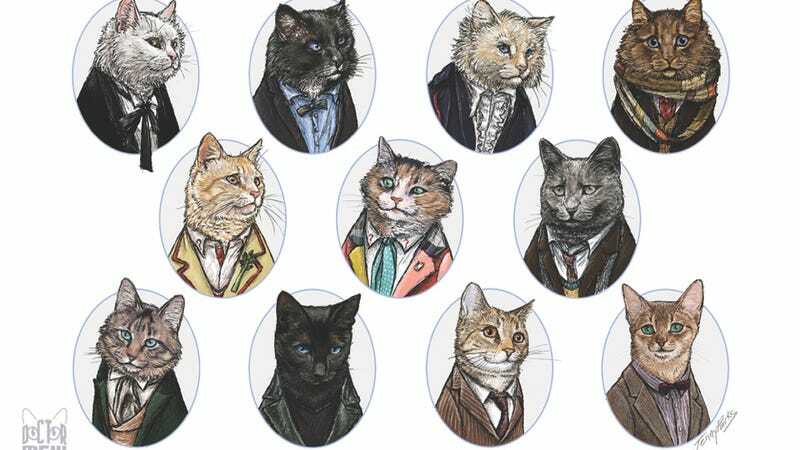 Jenny Parks is a science illustrator, so when she decided to transform the good doctor into a feline menagerie, she opted for a realistic look. She went to a great deal of effort to match the breeds with the look and personality of each Doctor, and the results are bizarrely on-point. Now we're ready for the alternate reality Doctor who walks among Catkind.